You are here: Home / Weekly Columns / Opinion / Apple’s new iPad: Set Your Expectations Right Here’s why. Apple’s new iPad: Set Your Expectations Right Here’s why. (ThyBlackMan.com) Apple’s new 9.7-inch iPad is now available for $329 and students can buy one for $299. The new iPad 9.7 is good for those who want to consume media and those who are interested in working with the Apple Pencil. But it is obviously not for those who are looking for a great viewing experience and pro functionalities. Here’s what to expect from Apple’s new iPad 2018. After comparing the iPad 2018 with 2017 model, it is clear that the new iPad offers more powerful performance. 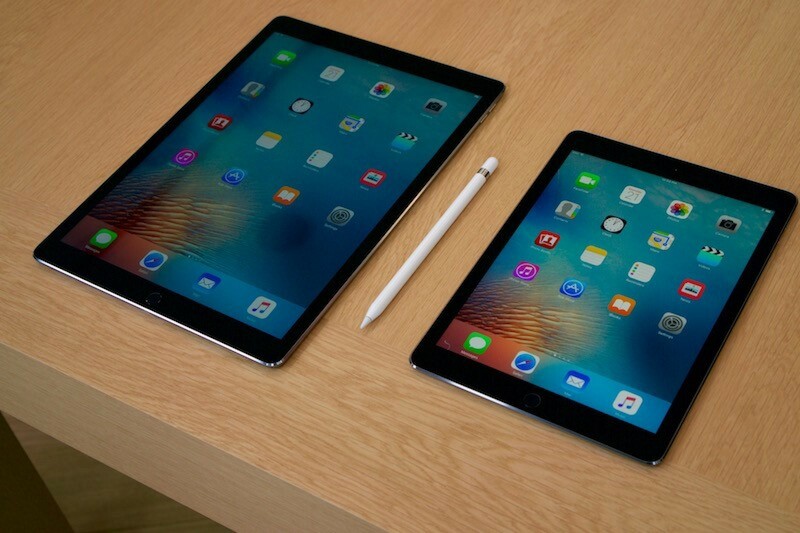 There are two major factors that make the new iPad worth buying. The new iPad supports Apple Pencil which was never possible on an iPad unless you go for the iPad Pro. Another factor that makes the difference is the A10 chip which is available on the iPhone 7 and iPhone 7 Plus. Benchmark results have made it very clear that the performance boost is not only visible on papers, but in overall performance, the new iPad gets a significant improvement. Geekbench 4’s score show 44 percent faster performance on single core test while on multi-core test, the performance went up by 53 percent when the two iPad models were compared. The new iPad has a 23 percent faster GPU when its performance was tested against the iPad 2017. The Apple Pencil’s performance on the Notes App on the iPad Pro and the new iPad feels different. The gap is not too much but with the A10 chip, the new iPad is more powerful than the old iPads with the A9X processor. If you’re comparing it to new iPad Pro models that come equipped with the A10X Fusion chip, this one is obviously not as powerful as the new iPad Pro. The device is great for lightweight apps and performance demands. Taking notes with the Apple Pencil may appear to be needing extra efforts. However, when you write something on a tablet screen with a stylus with rubberized material, it’s not a very pleasant experience. The smoothness and flawless performance can’t be expected in every situation. It’s difficult to take clear handwritten notes and the Apple Pencil is clearly not a notebook replacement. Apple’s new iPad is nothing more than an iPad. It’s not a complete laptop alternative and we really don’t expect it to be one. The device is identical to the previously launched 9.7-inch iPad. It does everything you can expect from an iPad and surprisingly, it is not only suitable for students, for the general purpose also, it is a perfect device. It is more powerful than the first iPad Pro and can do almost everything the new iPad Pro models can do. With the A10 chip, it’s fast, with Apple Pencil, it will give us more ways to experiment as soon as you start using Apple Pencil based applications. The new iPad offers the same 10-hour battery life and what else? It does pretty well with its cameras (obviously you can’t expect its cameras to match the iPhone X camera quality) and from AR viewpoint, the 8MP primary sensor is decent enough to take impressive shots in low light. The new 9.7-inch iPad has a poor screen and it is different than what you get on the iPad Pro, but it is probably not a deal breaker for many. Those who are interested in reading, playing games, and watching shows or movies won’t mind the difference. There’s a noticeable difference in the display quality of the two devices, but Apple has given it enough power to convince those who need a decent tablet in the budget. It is not an overstatement if we say that Apple’s iPad Pro does more than what Apple promised. Apple has dedicated the device to students and teachers, but the device is capable to do a lot more than just basic web surfing and day planning.